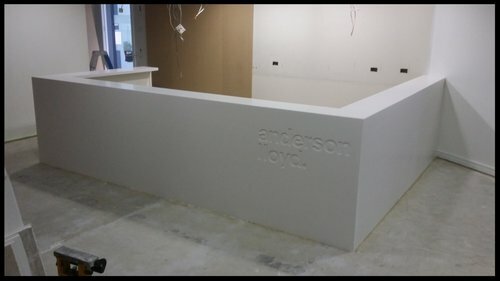 If you are wanting to make a great first impression for clients and customers, having a bespoke reception desk or counter top is a must - and more affordable than you think! 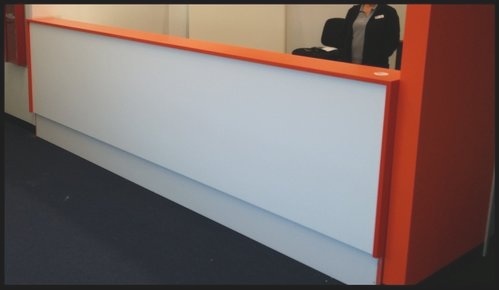 With the design flexibility of acrylic, we are able to work with your designer and / or joiner to create a tailor made reception desk that fits your brand (and space!) perfectly. The durability of acrylic solid surface with a non-porous surface makes it idea for high volumes of traffic, and if there is minor damage, it can also be repaired. 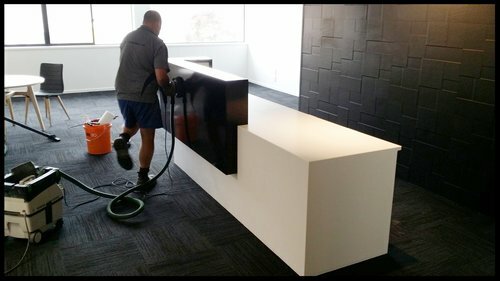 Having passed NSF certification, the non-porous and seamless qualities of acrylic solid surfaces means McGrath Benchtops can fabricate hygienic, low maintenance, long lasting surface areas. Ideal for hospitals, banks, shops, hotels, scientific laboratories, restaurant and café tables. Our expertise and friendly approach means we can discuss the best options for you based on your requirements and budget. With an extensive range of colours and designs, we can produce and install high quality tops that not only meet hygiene standards, but will look great as well!